To get the low down on current web font rules, regulations and options available, email sales@atomictype.co.uk or call ++44 (0) 20 7354 1742 for expert, no obligation advice. We can provide screen optimisation (hinting) to maximise the clarity of fonts viewed on screen and advise whether subsetting (using a smaller character set) makes sense for you – email sales@atomictype.co.uk or call ++44 (0) 20 7354 1742 for further details. The simple answer is – no. Most EULAs permit fonts to be installed on a minimum number of computers (usually up to 5). Font software in this environment can be viewed on screen and used for any form of printed output. This type of license is often referred to as a ‘desktop’ license. As part of their desktop license, some foundries include additional permissions that allow you to convert desktop fonts into images for web page embedding, these would be file types such as .png, .jpeg and .gif. Some EULAs don’t permit such embedding so it is always best to check first. 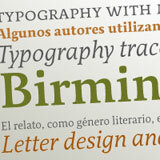 To use Web Fonts and have them embedded in your web pages requires the purchase of an additional license. 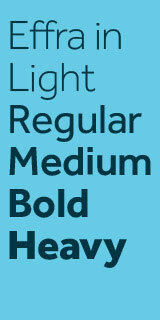 For further information about Web Font licenses, please email sales@atomictype.co.uk or call ++44 (0) 20 7354 1742. For further information about web fonts and web font licensing, please email sales@atomictype.co.uk or call ++44 (0) 20 7354 1742.